The ‘Volunteer Project’ encourages the development of social opportunities in our sheltered housing developments. The project looks to support tenants who would like to be involved in social activities and recruits volunteers to help run these activities. Volunteers are a crucial part of this process, giving their time and skills for the benefit of others. We are looking for reliable and friendly volunteers who have 2 hours per week or fortnight to spare. The project covers sheltered housing schemes in Dundee, Perthshire, Angus and north Fife. People volunteer for many different reasons, it might be, to offer their time to help others; do something worthwhile in their spare time; support the local community; try something new; gain work experience; build confidence; or make new friends. Many volunteers say how much they benefit from volunteering with others. Volunteers have helped provide many different activities over the years. For example, there are the ‘Tea & Coffee’ based groups where people can come along to the lounge meet and chat to other tenants. Then there are the activity groups, for example, gentle seated exercise classes; Tai Chi; Bingo; quizzes & games; arts & crafts; reminiscence; sharing IT skills; carpet bowls; give tenants talks on subjects of interest; and the list goes on. We also have a small number of people who play music, sing or entertainment. There are also a group of people who through poor health or limited mobility feel isolated or lonely. 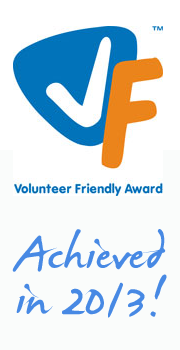 Caledonia Housing Association’s Volunteer Project also provides a ‘Befriending Service’. Volunteer Befrienders receive full training and can offer 2 hours per week or fortnight. The Befriender role is one of companionship, having a cup of tea and a chat, sharing activities together, or getting out to the shops or a café together. This is one of the few activities which can be provided for tenants who may be housebound or doesn’t get out without support. We are also looking for friendly, reliable volunteers to join our befriending service. Within all theses volunteering roles there is a requirement to undergo a Disclosure Scotland Check. Induction and training is provided and travel expense can be reimbursed. At Caledonia Housing Association we want our senior tenants to be happy and socially active – You can help make this happen. Please contact Gary Flew, Volunteer Coordinator.